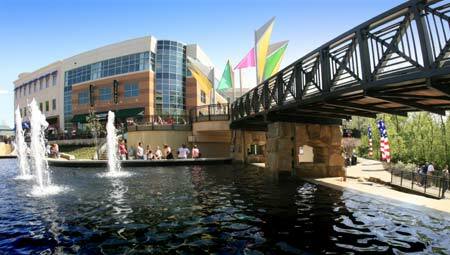 Gahanna is one of a number of suburbs of Columbus Ohio, located on the east side of the capital city and just 8 miles from downtown Columbus, over 33,000 residents call Gahanna home. Gahanna is a community with a rich heritage, friendly, and diverse. 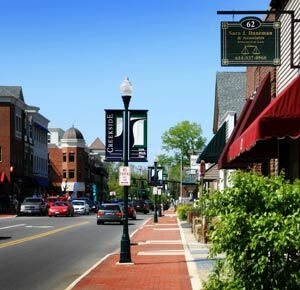 Gahanna recently ranked in the "Top 100 Best Places to Live" in Money Magazine. 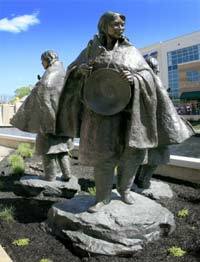 Founded in John Clark in 1849, Gahanna actually had it's start years earlier when John Clark's father, Joseph Clark first came to the area where 3 creeks come together (Big Walnut Creek, Rocky Fork Creek and Sycamore Creek). So Joseph Clark called his 800 acre farm Gahanna Plantation after the Native American term gahanna which roughly translated means 3 creeks. In March of 1881, 55 citizens of Gahanna petitioned Franklin County to incorporate the village. The incorporation was granted in June and recorded on August 8th, 1881. The Village then held its first mayoral election and on October 6, 1881, swore in its first mayor, L. John Neiswander. 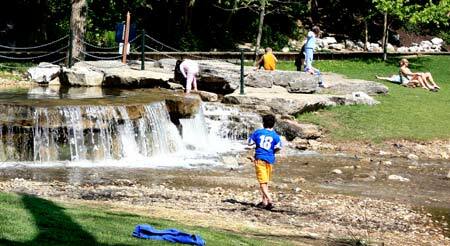 Creekside is a major redevelopment of Gahanna's downtown district ($56 million investment). Years ago, Gahanna's downtown was the heart of the city, but in time, most of the people and businesses migrated outward. The new Creekside will focus retail shopping, restaurants, offices, green spaces and luxury residential living back in Gahanna's downtown area. It is currently going through a rolling-opening, meaning that as parts of the project are completed, they open. The Ohio Herb Education Center is appropriately located in the Herb Capital of Ohio. During the late 1800s and the early 1900s, Gahanna residents became known for their quality and the quantity of herbs they were able to grow. Residents began calling their city the Herb Capital of Ohio. In 1972, Ohio officially bestowed this title on Gahanna. To celebrate Gahanna's past and its continuing use of herbs, the city holds the Gahanna Herb Day and Gahanna Herb Festival in the month of May. Thousands of tourists and herb lovers descend on Gahanna every year for the city-wide Herb Day. The city also has dedicated an entire park, the Geroux Herb Garden, to just growing herbs. Historic Olde Gahanna features a trip back in time to the sights and sounds of nostalgic Americana all at a slower pace you'll sure to find refreshing. The charming Historic Olde Gahanna features brick sidewalks reminiscent of a typical 19th Century rural village. 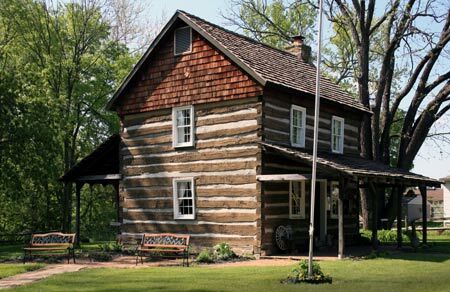 With more than 16 historic landmarks in an easy 1 mile walking tour, Gahanna brings to life historic destinations such as the John Clark House, the Log House, the Lily Stone Bed & Breakfast, a restored schoolhouse and two historical churches. Aside from history, visitors can find the finest in antiques, collectibles, home accessories, hand-crafted items, eateries, and more throughout this delightfully restored historic area of Gahanna. One of the most unique Christmas parades around is Gahanna's Holiday Lights Parade. Held the first Saturday after Thanksgiving each year, the parade draws over 50,000 attendees to the streets of Gahanna to watch a stream of lighted floats, bands, horse-drawn carriages, a lit up for the holidays. Get their early to brave the crowds and get a good spot on the parade route!